Established in 1984. 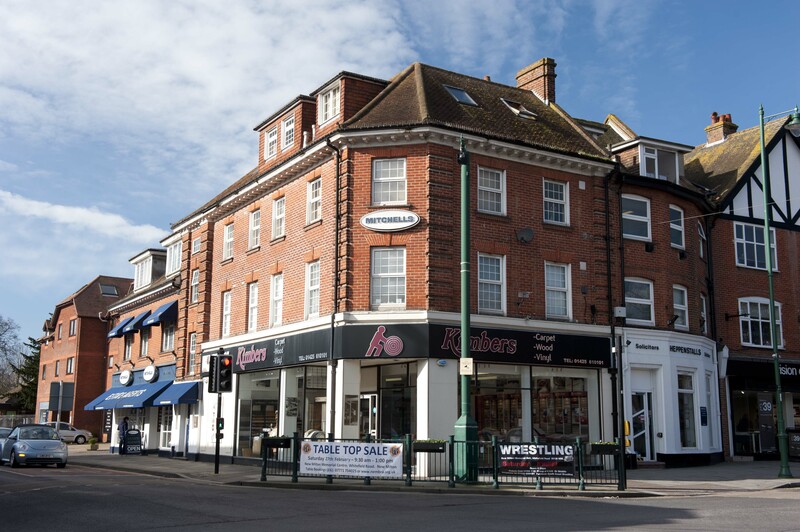 Kimbers started up with a small premises in New Milton. Using a garage at the back of the shop for storage and taking deliveries. Over 30 years later now we have changed location to the centre of New Milton, we have also opened another showroom in Christchurch and have two large warehouses for taking deliveries and storage. Kimbers has grown from having one person doing sales, estimating, delivering and fitting, to having a fleet of vans on the road everyday estimating, delivering and fitting to the highest standard. Kimbers also has a large employee base with two sales teams, a contract department, two warehouse teams, an accounts department and most importantly of all a team 10 strong of highly skilled fitters. The growth of the company has all been down to the reputation of Kimbers, this has helped bring new and repeat business through the doors for over 30 years and is at the heart of our mission. Customer service is what Kimbers pride ourselves on and has been the key to our success. Kimbers has adapted to our customers needs over the years, offering furniture removal, environmentally friendly waste disposal services, free estimating services, supply only delivery services for those DIY experts out there and much more. The aim is to constantly provide better service through meeting the ever changing needs of our customers. Over the years we have joined various organisations to help us improve our service as a company and help make the company more transparent. We want our customers to see what we are doing so they have confidence in us from the outset. This has been a great relationship for Kimbers for over 20 years, it helps us provide our customers with the lowest prices possible. The ACG buying group is a strong group that negotiates the best prices, being part of that group allows us access to those special prices that we can pass onto our customers. We also attend regular meetings outlining changes within the industry, keeping us up to date with the best products and any new innovations within the industry. We also use this as key training for our employees and fitters to expand there knowledge of the flooring industry amongst other proffesionals with a wealth of experience to share. Kimbers have recently joined Check-a-trade, this is a great platform to show off our projects and share feedback. Our experience shows customers need confidence when they are making a purchase. Flooring is an important purchase and applies the finishing touch to projects. 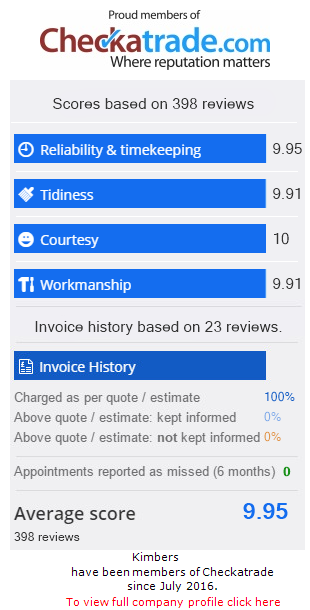 Check-a-trade provides our customers with that confidence and gives us useful feedback to help improve our service continually.